Dance’s creative laboratory is much like its scientific counterpart. The drive to experiment is informed and directed by the history of revolution and breakthroughs in methodology, technique and process. 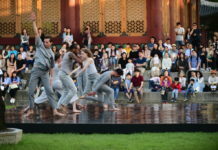 Those who participate in the laboratory – as mentor or choreographer, as new scientist or dancer – eventually move on, further consolidating the legacy of their home institution, as they pursue new paths. The history is enhanced as it is preserved. As Repertory Dance Theatre (RDT) prepares to close out the regular portion of its 52nd season, its forthcoming Current concert is the artistic interpretation of spring’s most cherished emotions surrounding the ritual of commencement. Three RDT alumni return to the company along with the winner of RDT’s 2017 Regalia choreographer competition, as the current ensemble of dancers perform their dance pieces including two world premieres. Performances take place April 12-14 at 7:30 p.m. in the Jeanne Wagner Theatre of the Rose Wagner Center for Performing Arts. It is the appropriate closing celebration to a season of impressive performances marked by a rarefied instinct for a cohesive ensemble where the dancers have become so attuned to each other on and off stage. The company also will say good-bye to two of its current dancers – Justin Bass and Lacie Scott, who join more than 100 other RDT alumni as they pursue new paths as dancers, educators and choreographers. RDT’s brand as a revolutionary institution is borne out by the works for this latest concert. An RDT dancer for two years during the late 1990s, Francisco Gella, who was born in the Philippines and came to the United States at the age of 11, returns with the world premiere of Aloneness, a work that incorporates his passion for the illustrated children’s book of poetry of the same name by Gwendolyn Brooks, the late Pulitzer Prize winning author whose work now inspires a new generation of young Chicago activists, artists and writers. Gella’s description of his 18-minute work, which features vignettes including solos, duets, and the complete ensemble, evokes his interpretation of Brooks’ projection of a child’s sensory experience with solitude. Gella adds a mirror as a prop for the work, which includes two familiar Romantic Era pieces by Franz Liszt (one of the six solo piano Consolation pieces) and Gustav Mahler (the famous Adagietto from Symphony No. 5 which also was featured in the 1971 film Death in Venice) as well as original music by Los Angeles-based composer Christophe Filippi. In an interview with The Utah Review, Gella says he was “captivated by the richness between the lines of Brooks’ poetry.” He adds that he avoids literally interpreting any creative work as inspiration for his choreographed compositions, because he does not want “to dictate to the audience how they should feel.” Gella says his choreographic influences come from all sorts of engagement with the arts – Jackson Pollock, Frank Lloyd Wright, and Alexander McQueen, the British fashion designer who was known for his artistic rebelliousness. Schubert Impromptu (excerpt) from Francisco Gella on Vimeo. 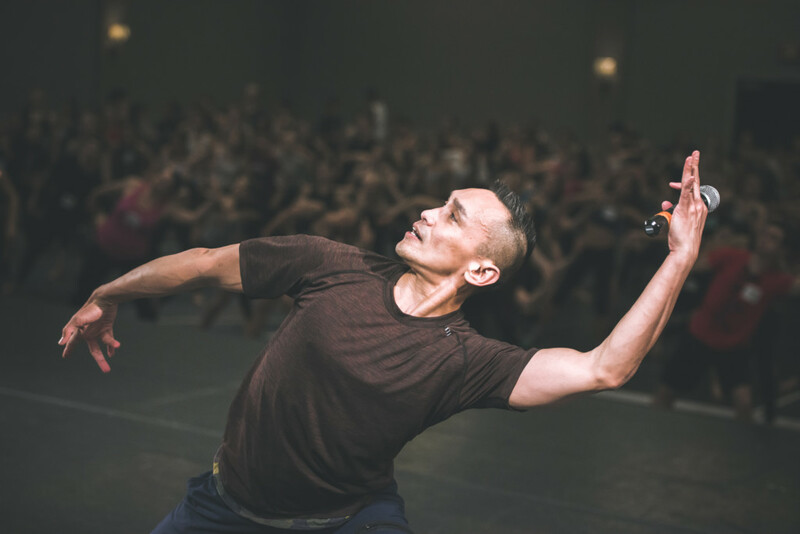 Gella’s career in the last 20 years has grown exponentially, an impressive accomplishment given that he took his first class in dance at the age of 19. He also was the founding director of the COLABO Youth Dance Collective and the ballet director for the nationally-acclaimed 24 Seven Dance. The RDT experience prepared him as well for his work as a teacher and mentor, as he has created several award-winning contemporary solos for Youth America Grand Prix competitors. 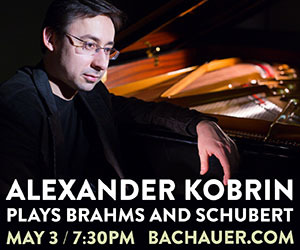 He now runs his own dance company and has choreographed more than 30 works and commissions (including several which premiered in Costa Rica) since the 2015 RDT premiere of Schubert Impromptu. His Ballet+ program, which is an accelerated training process to help young artists prepare for summer dance experiences — whether it is in competitions or ongoing studio practice – is offered twice a year (during the winter in Costa Rica and in Miami during the summer). The second premiere will be Flood, choreographed by Nichele Van Portfleet, the 2017 winner of RDT’s Regalia competition who was chosen by the audience. For the competition, Van Portfleet, like the three other choreographers, had to work with a compressed schedule of four hours to create a dance which the audience would vote on to determine the recipient for the commission. 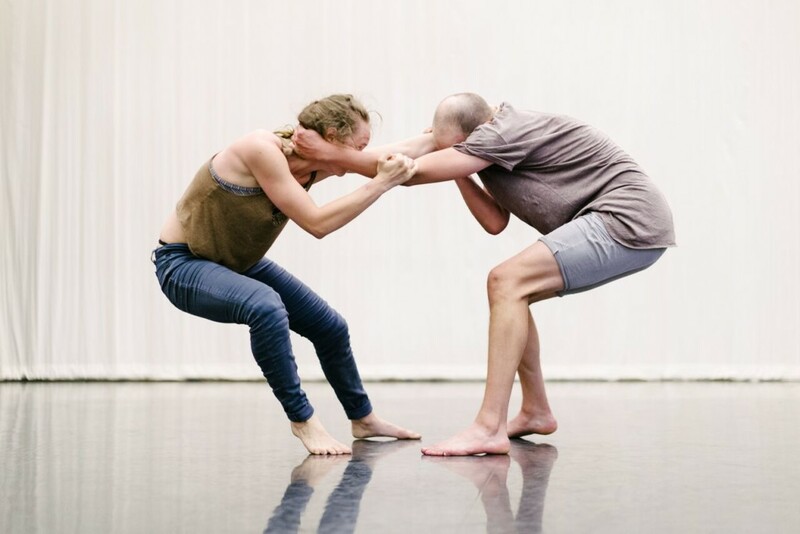 In the original phase of setting Flood, Van Portfleet also had to contend with RDT’s packed schedule of rehearsals and performances, which meant that the piece was created months before the forthcoming premiere. “I had just five afternoons of rehearsal with the dancers each day from 10:30 a.m. to 4 p.m.,” she says in an interview, adding that now the company is returning to the work to prepare its premiere. “Never before had I set a complete work so quickly,” she explains. However, Van Portfleet was well prepared for the intense process. Last summer, she participated in the week-long Devices retreat, conducted by Doug Varone’s dance company, and created a new work Stranger Kin. “It helped me to generate material quickly and how to use raw, kinetic instincts to make sense of an emerging work,” she explains. Flood arises from a perception of organized chaos and the various directions in which people are pulled in and out of line. Van Portfleet interprets principles of physics, laws of momentum and chain reaction in dance movements. Various sections are set as solos, duets and trios but everyone remains on stage throughout the work. She selected instrumental music by Icelandic composer Anna Thorvaldsdottir that underscores Van Portfleet’s concept of ever flowing movements and lyricism which she sculpts and gives well-defined spaces for the dancers to make choices that mark the relationships she strives to show in the piece. Van Portfleet’s commission is being realized while she pushes toward the final stages of her studies for a master of fine arts degree in modern dance at The University of Utah. She also reset Stranger Kin, the work about the shifting roles of power in intimate relationships that she created at Varone’s Designs workshop last summer, for a male couple, which was presented earlier this year at the American College Dance Association’s Northwest Regional Conference. 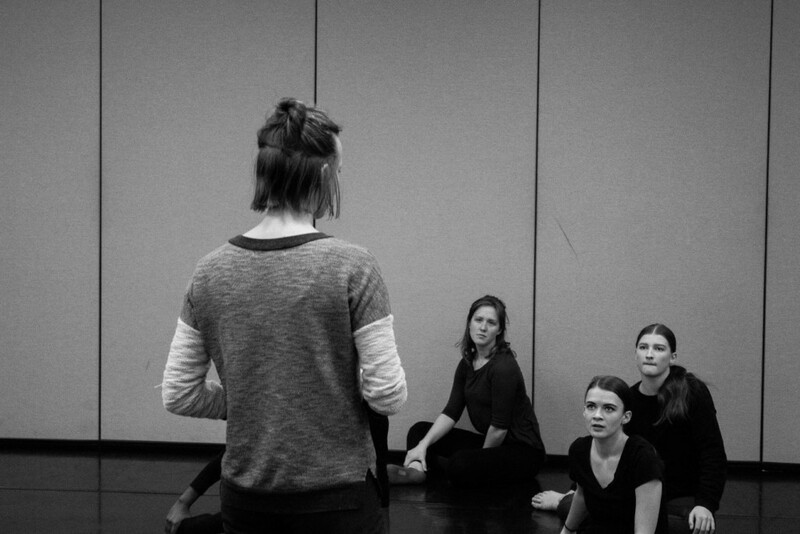 A graduate of Sonoma State University’s theater arts and dance program where she also served as an adjunct professor, she came to the University of Utah last fall after working in the San Francisco Bay area, which included helping establish Hatch Devised Performance. Parched, a work she created while at Sonoma State, was tapped as a gala selection at the 2013 American College Dance Festival West. RDT also will present Material Tokens of the Freedom of Thought by Angela Banchero-Kelleher, a piece the company premiered three years. She did two stints as a dancer with the company, first from 1985 to 1992, and then again from 1998-2007. 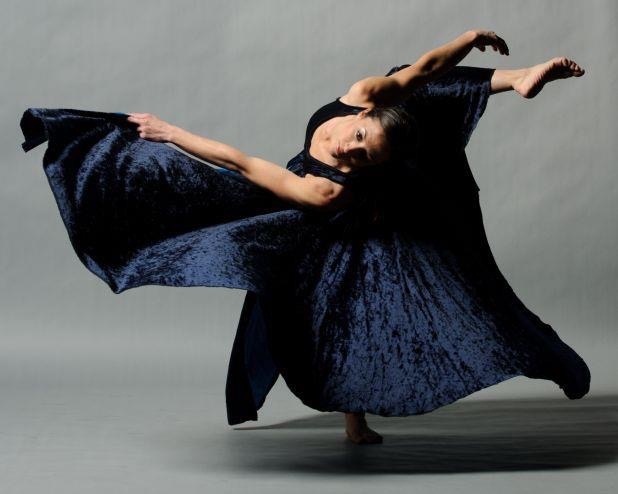 Today, she is an associate professor of modern dance at Utah Valley University. As she indicated in a 2015 interview with The Utah Review, the work, set for a duet, is a personal tribute to her mother who died more than six years ago. The piece is accompanied by the music of Wojciech Kilar, a 20th and 21st century Polish composer honored for many film music scores but also wrote many other classical works that are not as well known. She says in a recent interview that the time between the work’s premiere three years ago and its upcoming performance has clarified not only the language around the piece but also her own memories and thoughts about the relationship she had with her mother. In 2015, she explained “the work came very quickly to me because there really wasn’t a convenient trope on hand to describe adequately the complicated, challenging relationship my sisters and I had with our mother.” In 2018, “I definitely have become more comfortable and in thinking more confidently about the truth and everything that made the relationship complex and beautiful,” she says. Likewise, working with Dan Higgins and Jaclyn Brown, who will perform Material Tokens, Banchero-Kelleher says she now sees clearly how the movement language has been refined and how the spatial awareness and musicality of the piece has amplified the thematic heart, which now seems less surrealistic than in its previous presentation. For the program, Banchero-Kelleher is joined by her colleague at UVU, Sarah Donohue, who danced with RDT from 2009 to 2014. Still Life with Flight was presented previously in 2015 at a concert of the RDT’s Link Series. The work reflects Donohue’s interest in the physicality of humor as it might be presented in playful, subtle and nuanced movements. The comedic effect is crafted as a natural response more deliberately tempered than what might be seen in classic slapstick or clownish humor. 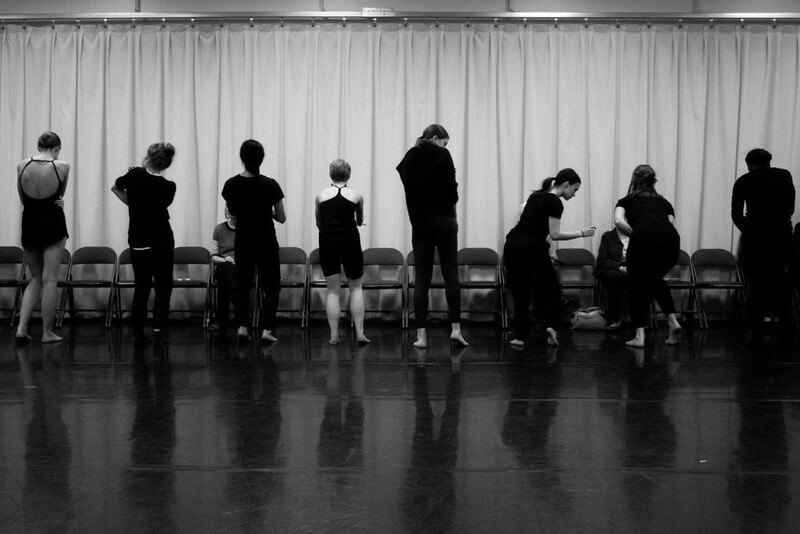 The work features dancers as they move on and off a bench, similar to how two passengers might fight to see who gets the last open seat on a bus. It is a finessed expression of how the dialogue might unfold in a well-made situation comedy. “I’m interested in discovering what makes a movement funny,” she says in an interview. Her musical choices for Still Life follow the same nuanced objective, which includes excerpts from Vivaldi’s Spring of the Four Seasons violin concerti and original music by Michael Wall, a Salt Lake City DJ and music producer whose website soundFORMovement.com offers a collection of more than 400 tracks of sound design made for dance and film. Still Life also was performed in 2016 at the American College Dance Association’s National Festival at the Kennedy Center in Washington D.C.
Donohue has worked extensively with the Laban dance movement technique and analysis, which was developed by Rudolf Laban, a Hungarian-born dance artist who has been a major influence in training actors and dancers in movement and physical theater. 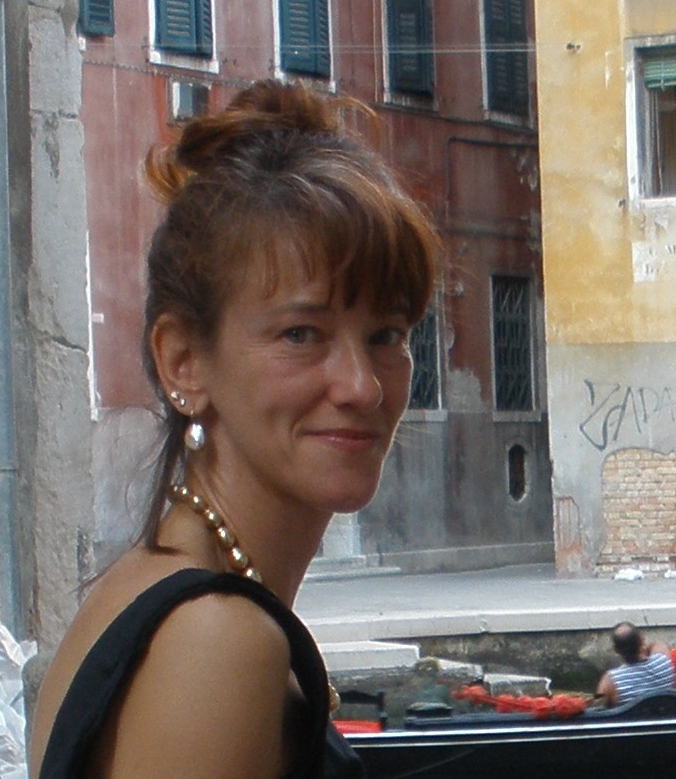 The Laban technique has shaped her research interests in physical movement and humor. Donohue directed and choreographed for My Turkey Sandwich, a dance theater company that she and Aaron Wood (also an RDT alumnus) founded in 2008 and which produced three evening-length performances and created work for UVU’s Contemporary Dance Ensemble. The company was known for its innovative use of live theater and video projections in works that ranged from quirky humor to sober-minded reflections on social and cultural issues. Donohue says that given how thin the boundaries are between comedy and tragedy, it is a major challenge to strike the right tones in bringing out the subtleties of physical humor without letting it become too crazy or outlandish but focusing more on the dramatic irony especially in how individuals relate to each other. More information and tickets are available at RDT’s website.